The green beans were packaged for Stahlbush Island Farms, Inc. by a co-packer into 10 oz. Stahlbush® IQF Green Bean paper retail packages. Product is frozen and has the UPC code 6 38882 00053 7. #16034001, with a “best buy” code date of 02/03/18. #15097001, with a “best buy” code date of 04/07/17. #14328001, with a “best buy” code date of 11/24/14. #15362001, with a “best buy” code date of 12/28/17. #14310002, with a “best buy” code date of 11/06/16. No other Stahlbush® products are affected by this recall. No illnesses have been reported to date in connection with affected Stahlbush® products. The recall was initiated after SIFI was notified by the supplier of the green beans that the supplier had issued a recall of the green beans. 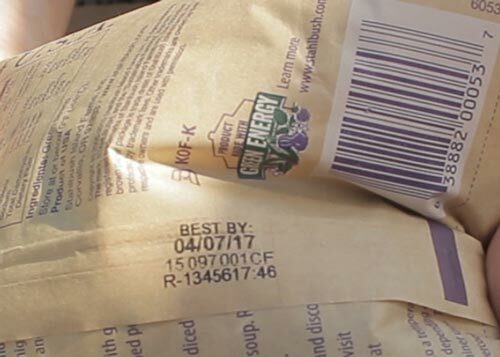 Consumers who have purchased IQF green beans affected by the recall should not consume the product and are urged to return them to the place of purchase for a full refund. Consumers with questions may contact the company at customerservice@stahlbush.com or call (541) 541-1497, open 9 am through 5 pm PDT, Monday through Friday. Stahlbush Island Farms, Inc. apologizes for any inconvenience experienced by our valued consumers and retail customers. Expanded Vegetable & Fruit Recall – HUGE List!